The MOST- WANTED model on the water! Stacer's Outlaw range is available as a tiller steer, side or centre console and stand out on the water with smooth plate-look sides. Each model comes packed with nothing but the best fishing essentials – tough 3mm bottom sheets and side sheets, EVO Advance Hull, font and rear casting platforms and a rear live bait tank! 13 listing(s) matched your search. With over 40 years combined experience, Michael and Denise Vidler offer the recreational boater a great range of boats, outboards and equipment. 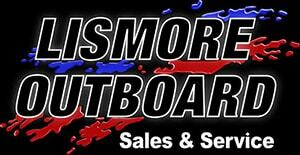 Whether you're an expert fisherman, or just looking for a boat for your regular family outings, Lismore Outboard Sales & Service can help you find the perfect boat for your needs.